Xiaomi has engrossed itself in active upgrading MIUI to Android 9.0 Pie. Earlier this year, it noted that the Mi 8 series, POCO F1, Mi MIX 2S, the Mi MAX 3 have already been updated and sketched out an update schedule for some other devices. Further, it has been testing the update on some other devices including the Redmi Note 5 (Redmi Note 5 Pro in India), the Redmi 6 Pro, and the Mi 6X. 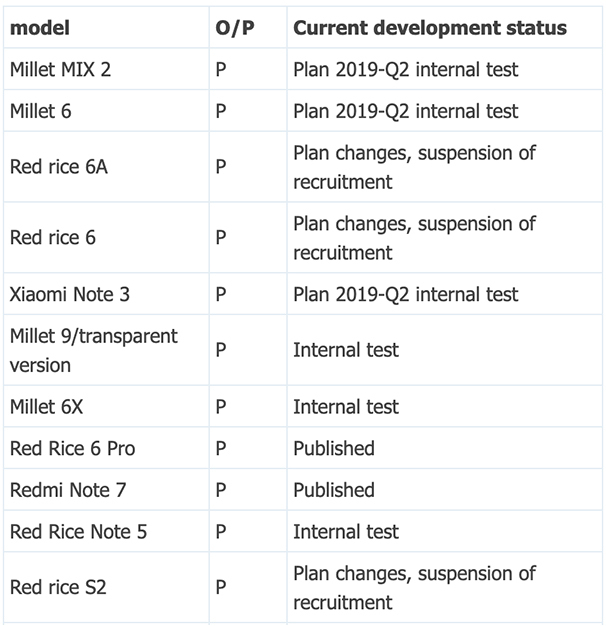 While the company also promised to update the Mi MIX 2, Mi 6, Redmi 6/6A, and Redmi S2 (Redmi Y2 in India), some of these devices have been dropped from the list citing poor interest from the tester community. As per the revised schedule for MIUI 10 update released by Xiaomi, Redmi 6/6A, and Redmi S2 (Y2) will not be receiving Android 9 Pie. The announcement can be a little disconcerting for those who own any of these smartphones since all of these were released only last year. The updated post on MIUI Forums notes that there has been a "suspension of recruitment" of beta testers and this appears to be due to a shortage of testers willing to evaluate the update. Xiaomi should, however, continue to roll out newer features to the Redmi 6/6A, and the Redmi S2 through latest versions of MIUI. After being launched with MIUI 9.1, all the three devices were updated to MIUI 10 based on Android 8.1 Oreo last year and we expect Xiaomi to include these smartphones for future updates, even MIUI 11. Even though the information comes from China, we believe a similar action will follow in India which is the biggest market for these entry-level devices, especially the Redmi 6A. However, since the update for Redmi Y2 is already underway, it might be an exception. Besides this, Xiaomi notes that it will be rolling out Android 9 Pie to the Mi MIX 2, Mi 6, and the Mi Note 3 in the second quarter of the year. Since we're already in the Q2, we hope to see the closed beta update being announced soon. The post Xiaomi Redmi 6, Redmi 6A, and Redmi S2 are no longer expected to get Android Pie updates appeared first on xda-developers.